Item # 304464 Stash Points: 5,499 (?) This is the number of points you get in The Zumiez Stash for purchasing this item. Stash points are redeemable for exclusive rewards only available to Zumiez Stash members. To redeem your points check out the rewards catalog on thestash.zumiez.com. 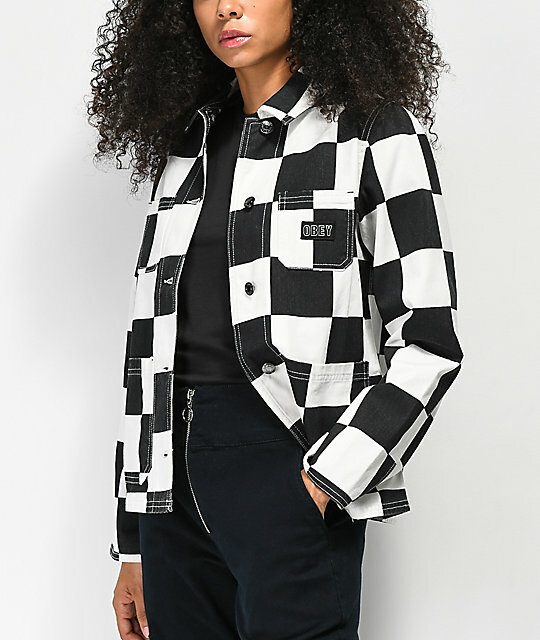 Achieve a bold and exciting style in the Bishop Checker Black & White Denim Jacket from Obey. 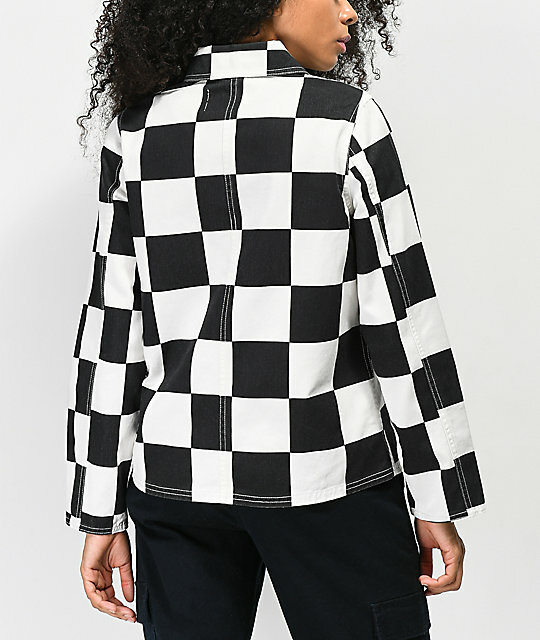 This denim jacket features an allover black and white checkerboard pattern throughout for a unique look. 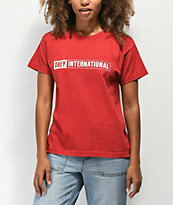 Four patch pockets are added to the chest and hips for funcionality, while the silhouette is complete with a traditional fold-down collar and a flat bottom hem. 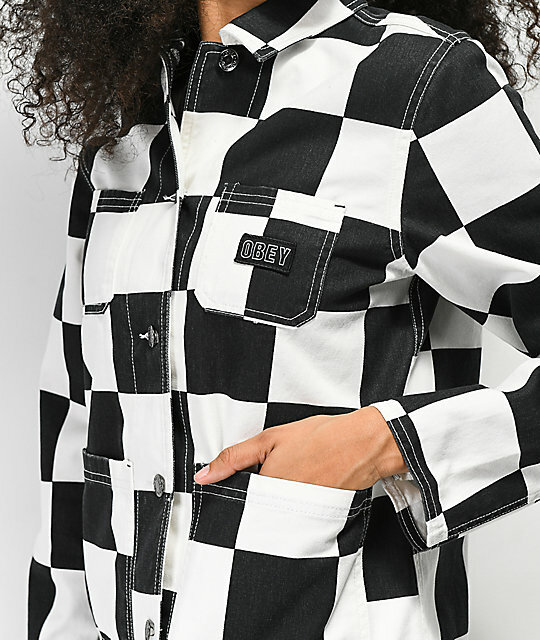 Bishop Checker Black & White Denim Jacket from Obey. 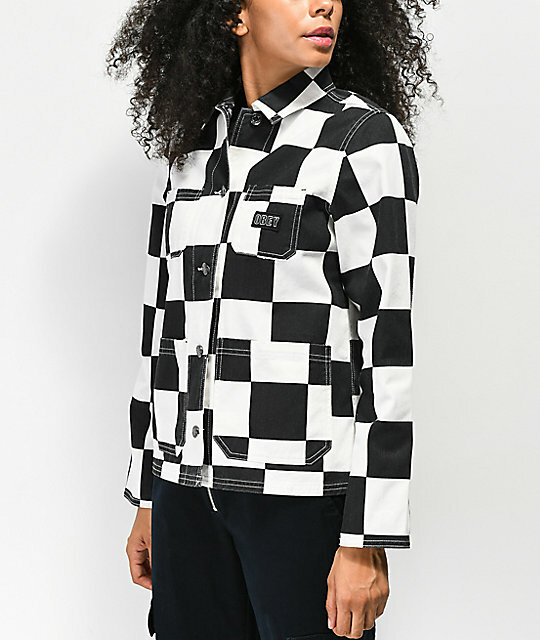 Black & white checkered denim construction. Four patch pockets at front of jacket. 23" (58cm) from top shoulder seam to bottom hem.